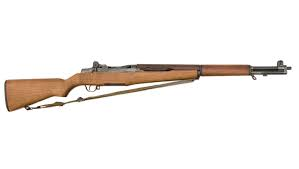 This was the standard infantry rifle for both the American and South Korean Armies. It fired a .3 inch bullet and it effective range was about 450 metre. It was a semi automatic weapon. It was feed by an eight round clip. It cost about $85 to produce at the time.